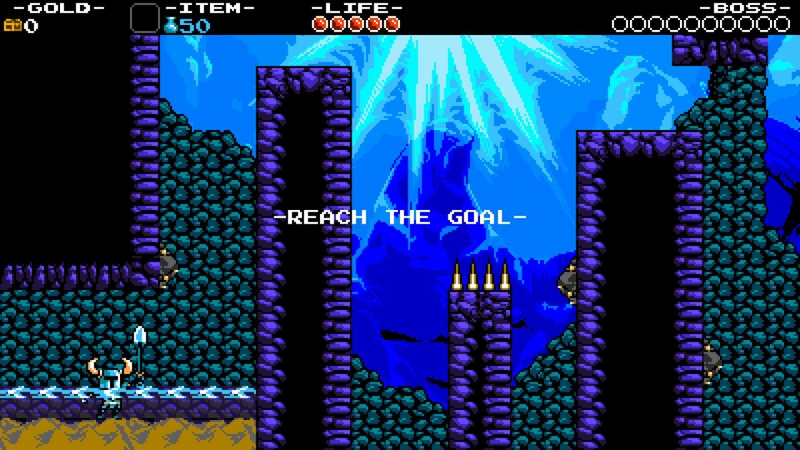 "Not for a moment were we just resting"
Shovel Knight was one of the biggest success stories of 2014, yet it remained a significant part of the download scene in 2015. In the fourth article of this 2015 'Year in Development' series we chat to Ian Flood and David D'Angelo of Yacht Club Games, talking in detail about the studio's year. In this first entry of two parts our focus is on development of the Plague of Shadows update in the first half of the year and the company's approach to new content. Looking at the start of the year, Plague of Shadows was announced in early March, for one thing. Can you talk us through the early months of 2015? Ian Flood: A lot of it was relief that the game was out and people were enjoying it. It quickly turned to what are we doing next, having a lot of content and updates planned. The weirdest part is we were talking to friends and family and fans at conventions, and they were like "Shovel Knight's now out and doing well, you must be taking it easy". But not for a moment were we just resting, we were working on Plague of Shadows, and secret stuff we couldn't announce. So lots was happening, and game development never came to a close, which was good as PoS harnessed our running energy to make something great. David D'Angelo: Even the end of the year we came out in Europe, too, which wasn't a small thing. Yeah, various things were wonky, and we'd promised a free 3DS theme, so early in the year we were answering thousands of emails because some codes didn't work, and stuff like that. So yeah, supporting the international build was a big thing. David: We started on Sony and Microsoft stuff around then too; we announced Kratos for PlayStation in December, so that was moving on. Ian: For PoS our early design was still being worked on, too. So many things were there that didn't make it – Plague Knight would be able to craft new items at every checkpoint, collect items to create limited-time weapons. Various systems were in the game and running, but they weren't fun or ready yet. So we kept PoS on a slow burn, working on animations and so on. David: So we were doing multiple things, and I remember a stage where I was asking whether I should work on Kratos or the final boss for Plague Knight. Ian: It actually worked out, as we were still talking about PK's systems, so you could get on with working on Kratos. We took the time to overhaul PoS and get it right. Has that been strange for you guys after working at WayForward, with the former naturally having shorter dev times, finishing projects and moving on? Yet Shovel Knight just keeps on going. Ian: It's surreal, definitely different from our past work. At WayForward or work-for-hire, we'd love to go back to something like Double Dragon Neon and work on a 'Rainbow' edition, where we fix it to make it a bit faster etc. But yeah, in the past when a game was out it was done, no late changes. It's been fun with Shovel Knight though – one part nerve-wracking but also exciting, where you can build a new layer on top of it and change the way you play levels, address problems with the campaign and so on. David: It's like graduating from High School. You like High School, right, but when you go to College suddenly High School is the worst; you don't ever want to go back there. No no no no no! That's what it's like going back to a game, sometimes, for me. Ian: On the other hand it's not like we're going back and changing the original game, though. David: Yeah, with Shovel Knight, going back to it isn't so bad, we look and it and realise it's already pretty good. Ian: Yeah, the screws are tight on it. I feel pretty happy with how it all turned out. It's cool adding new content like Challenge Mode, but the difficult part is adding a new layer like with Plague Knight, but then having to go back and make sure nothing of the original content is disrupted by it, like a character appearing in the wrong place. David: Yeah, we have to deal with things like jumps to make sure changes don't leak into the core Shovel Knight campaign that shouldn't be there. So we may mess something up or struggle to remember whether we've even changed something or not. So Plague of Shadows was in the works pretty early with the overall project then? David: Oh yeah, almost immediately after we finished the original campaign. Ian: While we were doing the original releases' localisation for Europe, for example, we would use spare time in that period to work on PoS. We didn't want to rush these updates, the goal has been to spend time and make sure it's a fun thing to have. Taking a little longer has been our prerogative. Looking back at the Kickstarter, have any of the stretch goal promises been a burden as you've worked on the game in 2015? Ian: I wouldn't use the term 'burden', but it's something we're definitely conscious of. We always talk about the promises we made, meeting expectations. David: It's a weird thing. So the last convention we went to everyone was asking "when is Shovel Knight 2 coming out"? And we're like, "but wait, we have all this stuff we're doing for the first game". So it's strange, we love doing this content but is it what everyone wants? Is this what we should be doing or should we be making smaller content updates? We haven't done this kind of thing before, so we're figuring out how to deliver it the best way. Ian: Moving forward now that PoS is out, it was 1-to-1 with the Shovel Knight campaign in terms of content. Now we've done that 'B-side' campaign, we're thinking about how to do the content for King Knight or Specter Knight – maybe they won't have the world map, or visit the locations in the same way. Maybe it'll be something more concise and less stretched out. Those are the kinds of things we're talking about. It's funny with PoS being free, too, we have people asking where they can buy it, and we say "you've already got it". They find that amazing, just the way the game is rolling out with updates to the base content. David: It's so bizarre by most people's standards. Like PoS wasn't really reviewed, because it wasn't for sale! We were shocked at how it was praised but not reviewed – Shovel Knight got 200+ reviews, and Plague of Shadows had a handful; if we sold Plague Knight's campaign for a dollar maybe it would be perceived differently and reviewed more! Ian: Anyway, it's fun delivering on expectations from the Kickstarter. A big thing with Plague of Shadows was that it wasn't going to be just a palette swap, like Proto Man running through Mega Man's levels. We wanted it to be a new character, with new mobility and new things. We like trying to over-deliver. David: So that's the fun thing with Kickstarter. Some saw it and thought "it's a Mega Man clone", right? But we had fun expanding it with the big world, loads of characters, story, different mechanics, all to surprise people. That was a fun thing with stretch goals. Ian: – Right, so with delivering the main game we wanted updates to then play on expectations and be cooler than people expected. Put a twist on the original content, put a spin on it. Have there been points where, financially, you've considered charging for these updates? You effectively spent a whole year developing free content in 2015. Ian: It's not something we take lightly. Even in the beginning, the level of support ultimately determined what we could do. We started Kickstarter with a $75,000 goal, and we would have done everything we could to make the game happen. But because we had so much enthusiasm and support we were able to make the whole game bigger, adding more content, variety, boss fights. Even since the game's out people have been telling others about it who go on to buy it on various platforms, which allows us to keep adding content and to make it better. More time, love and effort. David: We haven't run a game company before, so we didn't really know how games sell. We've made a ton of games but we don't know if they sell five copies or a million copies. So the interesting thing from our point of view is how well the game's been doing, supporting us and allowing us to keep making content. We maybe fret about whether there's one day where the game stops selling, and then it's "we're screwed"! Ian: Well we do plan further out for the future, of course, it's not like we'll run out of money. But it's more about when we plan for Shovel Knight 2 or Shovel Knight 64, and that's a large investment and we want to make sure we have the reserves to make that possible. But, money hasn't been an issue or something fretful or anything like that, and we've been sure to make careful decisions. So, Shovel Knight shouldn't appear in a bundle, for example, because we're still working on it full time and it shouldn't be drastically discounted or anything like that. So we won't take 75% off, even though it's been out for over a year, because we just released a lot of content a few months ago. Was that thinking with bundles part of the reason why Shovel Knight wasn't in the Humble Nindie Bundle? I remember it was requested by a lot of people at the time. Ian: We had our plan with bundles even before we heard of the Nindie bundle, it wasn't a case of us trying to stay out of it. It was just a case of "we can't give Shovel Knight away to everyone right now", as it's still a game in full development that we're trying to increase the value of every day. Plus, around that time we were just prepping Plague of Shadows, so we were doubling the size of the game. We had various sites approaching us around summer-time suggesting 90% off deals etc, and we just weren't doing that at the time. David: Minecraft is a good example for us, as they pretty much never slash the price of the game, actually putting it up as it adds more content. Around June you popped up in the Bloodstained: Ritual of the Night Kickstarter, and Shovel Knight was in Runbow as well. Can you talk a bit about these cameos? Ian: It was pretty exciting with all that stuff. Runbow is coming out in Japan, and when we saw a screenshot for that release with Shovel Knight we thought "great, Shovel Knight is in Japan!". Indivisible wrapped up on Indiegogo recently and Shovel Knight is in that, so it's been a great year for our traveller. Those cameos are always really cool – sometimes other devs ask out of the blue, collaborations like that are always fun and we take requests seriously, what the game will be like and so on. It's great, we like seeing games get made and creativity flourish, especially when they're not just 8-bit platformers! Our thanks to both Ian and David for their time. Check back on 31st December for part two in which we talk extensively about the Shovel Knight amiibo, the physical retail release and plans for the future. I love Shovel Knight. Love Plague of Shadows. Thank you Yacht Club games! Keep up the good work! My favorite indie game in recent times. Keeping the 2d metroidvania alive! 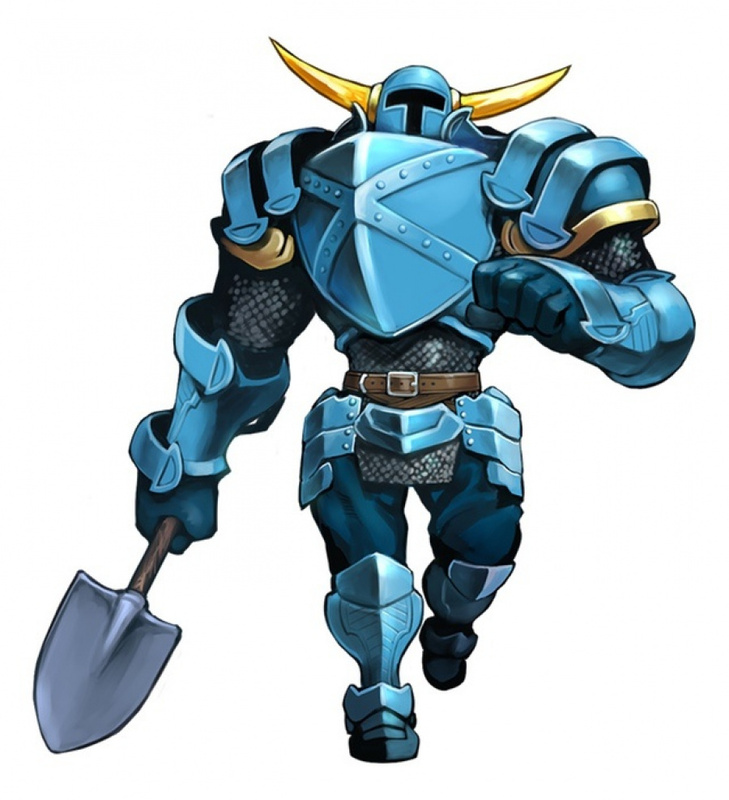 I hope shovel knight 2 happens. You have a successful IP on your hands and deservedly so. Super Shovel Knight next please ! To be honest, after all the effort that was put into this game, I don't consider Shovel Knight to be an indie game anymore...in my book, that is. Yeah, Shovel Knight 64 would be an interesting title. I am hoping King Knight and Specter Knight have full campaigns like Shovel Knight and Plague Knight. I'm still the only guy in the world that hasn't played this game. Is it incredibly awesome like everyone says? I still gotta finish Plague of Shadows, maybe I'll come back to it once the Shovel Knight amiibo releases in America. My favorite part of this interview is how they are resisting devaluing SK through bundles and deep discounts. The video game market needs fewer games at $60, fewer games at 99¢ (or free), and more at intermediate price points to be truly healthy. 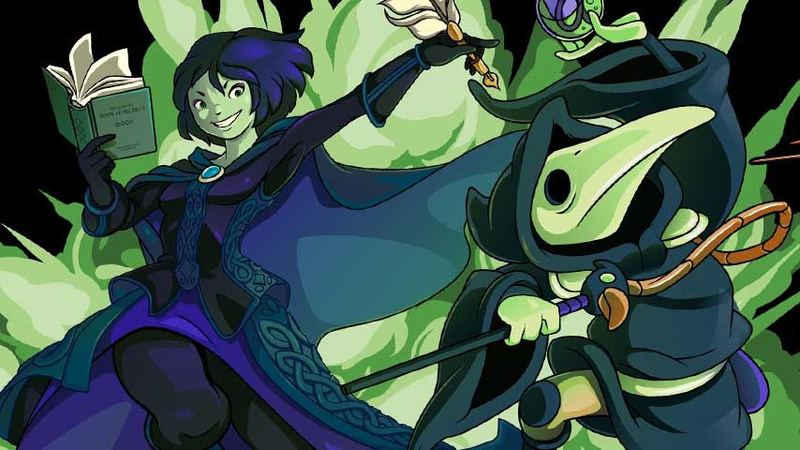 i loved how great plague knight arch played. Gotta make Shovel Knight 64! @John_Enigma I have yet to play it so you're not on your own! @StephenYap3 I don't consider it Metroidvania either, it's a side-scrolling game retro style a la ducktales, castlevania or megaman (the 3 biggest clear influences on the game). I has a lots of love for these guys. They really remind me of the Nintendo I fell in love with so many years ago too. 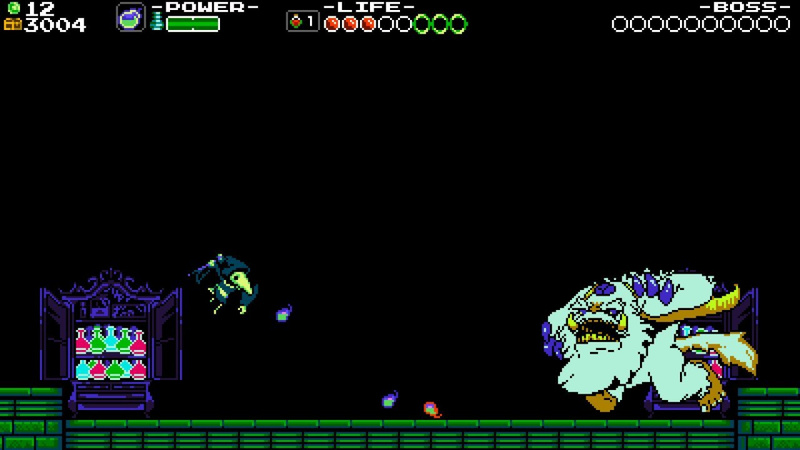 To me, Shovel Knight is like a poster child for how modern gaming should be--and I'm not talking about looking/feeling/being retro (that was just a cool feature of this particular game): You get a genuinely brilliant and full game right out the gate (at a very decent price). And then, over a longer period of time, you get multiple updates that add new game modes, campaigns, features, and even just stuff like the Shovel Knight amiibo--all of which are extremely high quality too. You really are getting a lot of stellar entertainment and joy for your buck. It's like one of those "evergreen" games that Nintendo goes on about too, and it's the gift that keeps on giving. There's also no abusive micro-transactions, forced advertisements to sit through, constant patches to fix silly bugs that should have been avoided, or any of the other crap that so many modern games suffer from. The developers have been paid well for their efforts, as well as receiving lots of critical praise and acclaim, and fan love too, and the gamers have been left thoroughly satisfied--and there's still more content to come (for free). Very few games in recent years have been as all-round satisfying and rewarding gaming experiences as Shovel Knight, imo. Like I said: The poster child for how modern gaming should be, imo. @John_Enigma it isn't a hype thing, it really is that good. People love it because it feels and looks like old school games we loved, but with all the amenities of modern games. It's like seeing a SNES or NES game you've never played that was a gem and getting to play it for the first time. You can pnly use the shovel knight amiibo for the shovel knight campaigns and not for plague of shadows. While leveling my amiibo to lvl 50 i played the new game+ campaign. In this game you actually play as your amiibo, which isn´t the case of super smash. It´s kinda fun to play as the custom knight, offers kinda cool new abilities that wasnt accessible before, the amiibo gives a bit more complexity and depth to ur character. To the relics u normally have 12, with the amiibo u will unlock extra 9. I have yet to play Shovel Knight but one day I will. Especially if I happen to get an unplanned Shovel Knight amiibo. @FRANKLIN_BADGE @John_Enigma As @MailOrderNinja it really is amazing; it's some of the tightest game design I've seen in years, and really embodies how many people remember NES/SNES games of old-rose tinted glasses and all. I'd whole-heartedly recommend it to anyone who has yet to play it; especially now with the free Plague of Shadows DLC, as it essentially doubles the amount of content in it. @Konda I'm aware, but I'd rather just wait until I get the amiibo so I can play them in one go since I'm more likely to stay focused and actually finish them unlike if I do one now and do the other another time. @teamshortcut Ha ha I know, I downloaded it a little over a year ago on my 3DS, one of the best purchases I've ever made in my life, and I agree with the guys of yacht club, it it still fresh after all this time, so devaluing it will be a huge mistake since they plan to continue to upgrade it. I'm still playing plague of shadows, and I too, recommend it to everyone who wants a fresh take on modern gaming.